The cost of living is increasing at a rate that is outpacing the rise in earnings for a great deal of people across the country. This is causing a ripple effect in the economy. Although people are spending more money, they are going deeper into debt as well. When consumers are in debt for thousands of dollars it is easy to get behind on payments. It can quickly spiral out of control, to the point where the debtors tend to ignore the debt. Although it will eventually catch up with them, ignoring outstanding financial obligations is a popular coping mechanism. At this point, businesses must do whatever is necessary to collect on the past due debt. Often, they turn to professional collections agencies for help. This is good news for the collection industry. It is the reason why the industry is growing at such a rapid pace. However, even the experts find it challenging to convince debtors to make payments on their past due debt. Most debtors would rather play the ignorant card then pay their past due bills. What can collections agencies do to increase their success rate? They must make it as painless as possible for the debtors to make payments. Most debtors do not feel comfortable spending the cash that they have on hand. They would rather pay by credit card. It is the same mentality that got them into financial trouble in the first place. Collections agencies must appeal to this way of thinking to improve the bottom line. 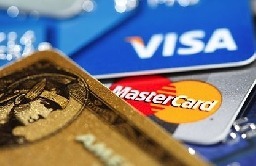 Providing a credit card payment option is the solution. This is accomplished by a debt collection merchant account. It has fast become a necessary tool in the collections industry. However, most banks refuse to issue collection agency merchant accounts. They feel that collections agencies pose too high of a risk. There are two main reasons why. The debt collections industry is governed by a strict set of federal regulations. It can be easy to make an honest mistake that leads to heavy fines for both the bank and the collections agency. Additionally, collections agencies suffer from an excessive number of chargebacks. Often, the bank ends up being responsible for these chargebacks from a financial standpoint. If the banks are not willing to work with collections agencies how can they possibly offer credit card payment options to their debtors? Highly specialized payment processing companies, like Payment Savvy, offer collections credit card processing. These specialists incorporate the use of less strict guidelines in order to accommodate the collections agencies and other high-risk businesses. Although fees and terms are slightly higher, it is a necessary trade off. Payment Savvy is happy to partner with businesses that are considered high-risk industries from a payment processing perspective. Payment Savvy specializes in providing collections agencies with the ability to accept credit card payments. This is accomplished with a collection agency merchant account. Please contact Payment Savvy today to review all options, obtain answers to your questions, and to apply for a merchant’s collection agency account. Payment Savvy is only successful if we can help your business grow through the use of our products and services. We look forward to hearing from you and partnering with your business. If you have enjoyed reading this article and found it informative, please share it with your contacts on social media. Payment Savvy greatly appreciates your efforts in helping is spread the word about our company. Please stay tuned for more interesting articles from Payment Savvy.